The Dallas Cultural Plan is in your neighborhood! Don’t miss this once in a decade opportunity. What do you love about your neighborhood and your city? Do you want more arts? Tell us how. 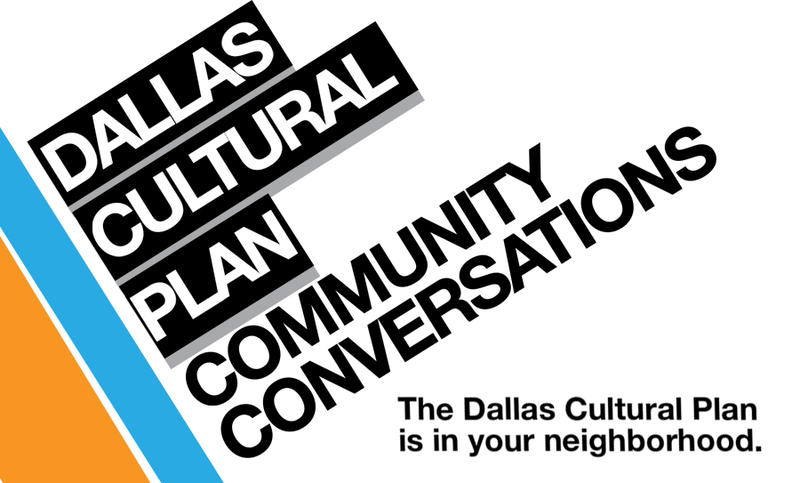 Join us for a Community Conversation, part of the Dallas Cultural Plan. Enjoy art from Dallas artists, have a bite to eat from a local restaurant, and tell us about arts and culture in your neighborhood – what’s there, what do you need more of, and what’s your vision for the future. The evening will end with a raffle, which will include prizes like tickets to the Alamo Draft House, Cara Mia Theater, and the Jr. Players. Come and share your thoughts, hopes and dreams for Dallas’ cultural future!